I am not going to make it to 50,000 words by the end of the day. I am not going to even get close. My word count sits at 30,194 at this point. I may add another thousand by day's end, but it was clear more than a week ago that it just wasn't going to happen this year. I don't have any valid excuses, but here is what seems to have happened. Some of the excitement was gone this year. You can never recapture that first-time rush, that panic, pain and ecstasy. Since I was successful last year, I knew I could do it again this time. And somehow, knowing that I could succeed took some of the motivation away. I wasn't working without a net. I don't know if you could call it a sophomore slump when your first effort wasn't a hit, but it felt like a slump nonetheless. I hit a personal rough patch mid-month, and lost all motivation. 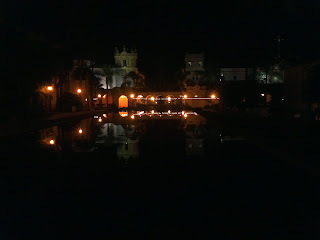 Nothing dramatic happened - no family crisis, no health problems, no accident that broadsides you on a random Tuesday - it was just a confluence of things that sent me spiraling. This time around, I had more of an idea of where the story was going. This should have made it easier, but it did take away from some of the excitement of discovery. There are still many things that came to me in the moment, but somehow the scenes that I had planned a bit ahead of time were harder to start. There is sort of a fear that I won't be able to pull them off. But of course I can't pull anything off that I don't start. I may have failed to reach the 50,000 mark within the 30 day challenge, but I will finish this book. Though I haven't read it yet, I think there is something there, there. The pressure of a deadline forces me to sit down and write whether I feel creative or not, but I need to be able to do that on my own any month of the year if I want to continue to have this be a part of who I am. George Carlin once said, "...A leftover. What a sad word that is. Leftover. How would you like to be...a leftover? Well, it wouldn't be bad if they were taking people out to be shot!" Well the four day eating marathon is over, but the food is not nearly gone. There were many hits, and only one miss. As mentioned earlier, after going out for dinner on Thanksgiving, Kristy and I made a turkey dinner for two on Friday. Turkey, cornbread stuffing, homemade cranberry sauce, mashed potatoes with horseradish, and pie for desert. Everything was wonderful, though I sort of missed the store-bought cranberry sauce in the shape of a can for nostalgia sake. She bought the smallest turkey available, but even so there were plenty of leftovers. But of course this was part of the plan. Oh the turkey sandwiches! Saturday's selection was turkey, cranberry sauce and melted gouda on soft ciabatta bread. Sunday we had grilled turkey paninis with thick pickles and horseradish butter. The only miss was when we tried to make Wassail. 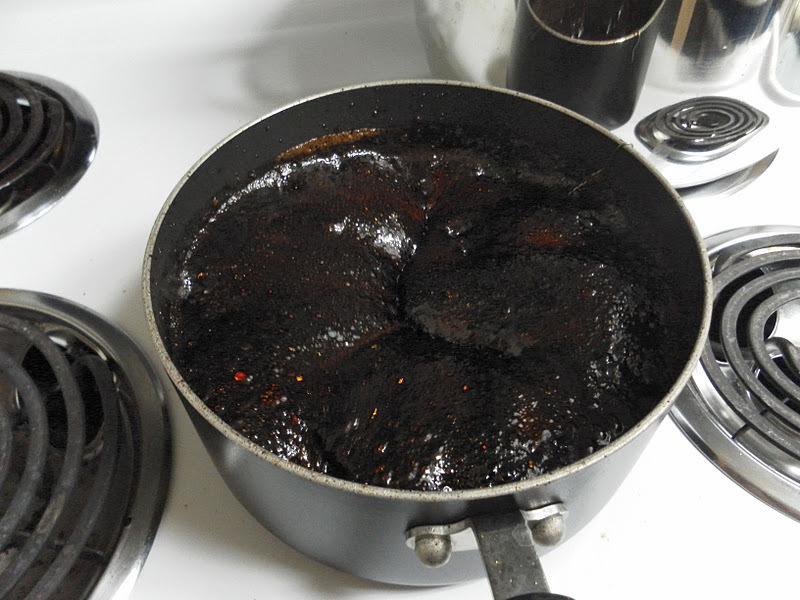 We forgot it on the stove, and it turned into this creepy oozing mass of black goo. It was bubbling and collapsing in on itself like something out of Harry Potter. I think the remains are permanently burned into the pan. I think we have only put a small dent in the supply of turkey, but the leftovers keep coming. We had dinner with Matt and Holly on Sunday, and we did a full ham dinner with all new side dishes. I think we made it through most of the yams and veggie casserole (and the mulled wine), but there was so much ham leftover that each house now has a big Tupperware full. Then a month later when blue hair is growing out of the ham, and you throw it away, you feel really intelligent: ‘I’m saving my life!’"
Somehow through all of this, I managed to not gain a pound. Inconceivable! Amazon has been doing a Daily Deal with a very inexpensive Kindle book each day. Today's offer was for Mother Night by Kurt Vonnegut. I don't think I have ever read anything by Vonnegut, but Sean H had brought his name up recently so he was top of mind. At 99 cents, the deal is already hard to pass up, but what really got me was the opening paragraph of the introduction they posted on Facebook. "This is the only story of mine whose moral I know. I don't think it's a marvelous moral; I simply happen to know what it is: We are what we pretend to be, so we must be careful about what we pretend to be." We have a new Thanksgiving tradition to "Move your feet before you eat." Sean and Marci have been running the Oceanside Turkey Trot 5k since it began five years ago, and I joined them last year. We all signed up again, and we brought along four more to the fold. While they were cheering us on at the marathon back in October, Marci began working on Kristy to encourage her to step across the line from supporter to participant. By the time the race was over, she was semi-convinced to do the Turkey Trot. Marci said she would be walking it since she would be seven months pregnant, so it seemed harmless. Even so, I think Kristy bargained that she would walk it if Holly would. Marci is not only a good salesman, but an enthusiastic advocate for running. Soon she had talked Holly and Matt into the 5k, so there was no backing out. While we were driving up, Kristy made some construction paper Indian headdresses and Pilgrim hats. When we met up with Sean and Marci, they were wearing foam turkey hats. Several other people ran in full costume as turkeys, Indian princesses, and one pair ran as a gorilla chasing a banana. It was the first running event for Matt, Holly and Kristy, and this one is a great mix of people celebrating Thanksgiving in an fun, festive and active way. I ended up running by myself as I had signed up for a challenge to see if I could beat my previous 5k PR. The ladies planned to walk while pushing the kids, but Matt had been getting back on the road after several bouts with injury, so he wanted to do some running. He and Sean ran the whole race together. Although she said she had planned to walk, soon Marci was encouraging Holly and Kristy to run a bit. Taking on a coach/drill sergeant persona, soon she was saying they should alternate one minute of running with one minute of walking. Kristy was glad she had worn her sneakers instead of the warmer boots she had planned on. I think the person that loved it the most was Annabelle. She LOVES to be outside, and whenever the ladies were running and there was more wind in her face, Annabelle was giggling. From what Kristy and Holly were saying, knowing that Annabelle was having a ball, it made it easier when it came time to run. I surprised myself with a new PB of 21:20, about a 45 second improvement. After I finished, I backtracked and ran in with Sean and Matt. Then I went back to meet up with the ladies and get some more pictures. It was a really great morning. Since it was their first 5k, and event of any distance, Matt, Holly and Kristy came away with personal bests as well. We went back to Sean and Marci's to hang out for a bit, before going our separate ways. The rest of the crew was headed to LA to spend Thanksgiving with Sean's family. Kristy and I couldn't make it since we both have pooches that need medical attention at this point. We debated whether to go out for dinner, or make our own Thanksgiving at home. We kind of split the difference. 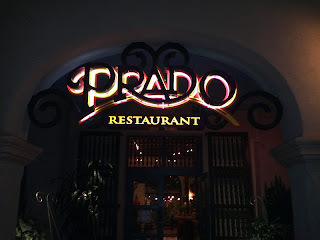 We went out for dinner for Thanksgiving and had a lovely meal at the Prado in Balboa Park. The restaurant had a special menu for Thanksgiving, and we both enjoyed every single thing we picked out, right down to the fancy drinks. We were seated on the terrace and were surrounded by trees and twinkling lights. 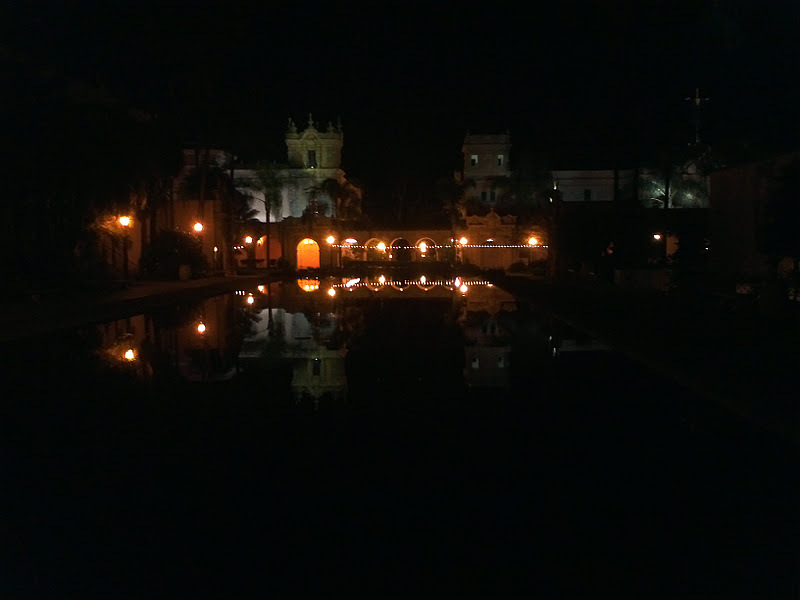 After dinner we walked around Balboa Park talking in the beautiful lights. Today we (and when I say we, I mean 99% Kristy) are making a more traditional Thanksgiving feast for dinner tonight. We are also planning on a ham dinner with Matt and Holly on Sunday, so we are going to stretch Thanksgiving into four days. Almost every year I have been with my family on Thanksgiving. Last year, we had a smaller gathering of friends over at Matt and Holly's, but though I worked for a decade in a restaurant that hosted Thanksgiving, I had never dined out on the day. 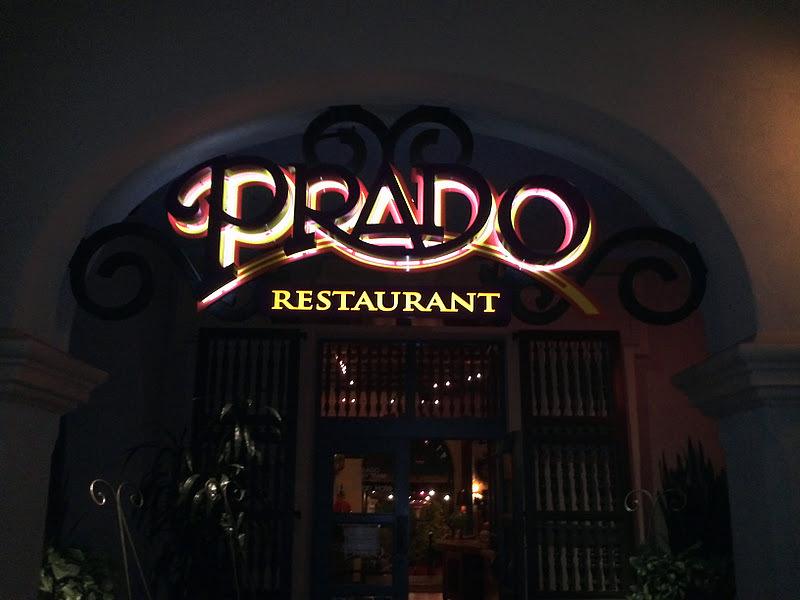 Dinner at the Prado was excellent, and I am looking forward to the extended weekend of Thanksgiving goodness. One tradition maintained, another updated. This was a different sort Thanksgiving, but wonderful. Went for a run yesterday. My running, like my writing, has been more sporadic than usual. I am running a 5k in a few days, and the marathon is a little more than two months away. I should be logging lots of miles for the marathon, with some speed work sessions to improve my 5k time. 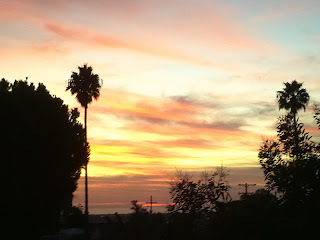 My runs during the first couple of weeks after the Long Beach Marathon felt great. I was surprised at how well I recovered after feeling so terrible at the finish. But November seems to be the month of slumps. I have only been getting out twice a week lately, and I seem to be getting slower. I have been achy and unmotivated and it seems that much harder to get out the door before work. But the weekend runs have continued, and I went out for a fifteen mile run yesterday. And I found a little inspiration. Unplanned, I ended up smack in the middle of the Susan G Komen 3 Day Walk for the Cure. During this event, participants walk a total of 60 miles over the course of three days to raise money for breast cancer research. According to their website, they have raised over $1.9 billion dollars since 1982, when Nancy G. Brinker promised her dying sister, Susan G. Komen, she would do everything in her power to end breast cancer forever. I have a friend that is breast cancer survivor, and we ran a couple of events in her honor when she was sidelined with chemo treatments. We printed up badges with her face on it, and pink was the color of the day. But the 3 Day event was a whole different experience. I ran along the river path like a salmon swimming upstream through a sea of pink. Thousands and thousands of people dressed in crazy outfits, with silly and suggestive team names walked by. They walked with survivor names and those they had lost emblazoned on their backs. They walked and walked and walked. They just kept coming, and I would run past them for miles. Hundreds of supporters lined the path handing out refreshments and shouts of encouragement. Pink ribbons and temporary tattoos were passed out like Halloween candy, and a wall of people wore gloves on one hand because they were giving out so many high-fives. It was like a marathon course but more inspiring in a way. The walkers were moving slower, so they could enjoy each supporter individually. Many marathoners run to raise money for various charities. Team in Training is a staple at most every event, and you can pick them out of the crowd with their purple shirts. They even have their own set of supporters cheering them on. But here at the 3Day, every one of the walkers was there to support their loved ones and raise money for countless other strangers. Every walker was there for someone else. I was running through, alongside, or within sight of the pink brigade for probably 11 of my 15 miles. I was reminded over and over of the fight that so many are going through, and the strength and power of people gathering for one focus. My run was a bit of a struggle for my sore bones, but yesterday I had no excuse to quit. Woke up to a rainy morning, more typical of Seattle than San Diego. I will catch myself once in a while, slightly dumb-founded that I live in California. For the first 42 years of my life, I lived within a 25 mile circle. My family did not move around when I was younger, I went to college near home, I did not get a job that required me to pull up stakes. I stayed home. These days I drive fifty miles to work, along highways carved through rocky hillsides dotted with avocado trees. I carry my 70 pound dog up and down concrete steps so she can pee near a palm tree. I run along the ocean past tourists who traveled miles and time zones to get here. Rain is an aberration and I wear shorts year round. It was a thousand decisions, great and small, in my control and not that lead me here. Of course this is true of everyone's life. You never know what would have happened if you turned left instead of right that day. There are obvious ones that lead me to San Diego, but I have been thinking farther back recently. In the summer of 1992, I had just returned from a trip of a lifetime after graduating from college. My brother and I spent more than a month on a whirlwind trip across Europe. It was an incredible adventure that I don't imagine I will ever repeat. When I returned, I did not have a job or a place to live. I moved in with my folks for a couple of months while I looked for work and saved up some money. I applied for work in a few local restaurants. Two called back. The Keg called first, and though I gave a stupid answer when they asked during the interview why I chose the Keg (because it was close), they hired me. I met many great people, and most all of my friends can be traced back there by one or two degrees of separation. When you think of a phone call that changed your life, this is not what you would picture. But if Billy McHale's had called first, I never would have met all these people or had the same adventures. I would not have met my former wife or the woman I am with today. I would not have met the couple I live with, nor the man I work beside, had I not worked at the Keg. I try not to obsess over the endless 'what-ifs' of it all, but I have been known to ruminate over regret. I am doing much better these days, but every so often I slip back into bad habits, and through a confluence of factors, that is what happened this week. I spiraled, I self-berated, I carried it under the surface and was a jerk at work on Thursday. Kristy is out of town, and I am house sitting and taking care of the old dogs. I have had a place to myself for the first time in a while. I was looking forward to some solitude and getting lots of writing done, but I have felt more like a hermit. I've barely been running, and the writing hasn't been much better. I have dug myself into another hole this year, and I need to claw my way back out. ‎"Begin at once to live, and count each separate day as a separate life." This week I regressed, but tomorrow is a new day, next week is a new week. Maybe I needed to go through this valley to remind myself how miserable I used to be when I shut myself off and hid away like a hermit. To remember all I need to be thankful for in this season of Thanksgiving. I am thankful for my family and friends, here and a thousand miles away. I wish I could bring these two places together somehow, especially during the holiday season. I am thankful for a temporary job that lasted a decade and introduced me to all of you. And I am thankful that Billy McHale's didn't call first . "We need people who can actually do things. We have too many bosses and too few workers. More college graduates ought to become plumbers or electricians, then go home at night and read Shakespeare." National Novel Writing Month begins today! 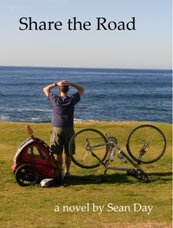 This will be my second attempt at writing 50,000 words in 30 days, on the way to a second novel. I am about as stressed out as last time, maybe a little bit more. Somehow the second time around is harder. The first time, you know it is going to be difficult, but you don't know something until you have gone through it. The first time, there is that ignorance is bliss, beginners luck thing you have going for you. The second time, you know how hard it was, but you signed up again anyway. Kind of like a marathon. Speaking of which, I have another one on the calendar. I will be running the Carlsbad Marathon on January 22nd, a scant 82 days away. I was planning on taking some time off, but Sean H made a convincing argument that I should join him on his last marathon for the foreseeable future (he has a third child on the way). Of course he really didn't have to twist my arm that hard. I am anxious to see if I can figure out how to finish while still being able to walk a straight line and speak coherently. In other news, Amazon.com has made an agreement with the state of California to begin collecting taxes sometime next year. As I wrote back in July, I think this levels the playing field for local stores, and restores revenue for states that are having to slash much needed programs. This agreement also means that the affiliate program has been reinstated for California residents. You will notice that there is an Amazon.com search bar in the sidebar to the right. I also have an affiliate store set up with products I use, like and recommend. Many of us do our shopping online (especially around the holidays), and you can find nearly everything you want at Amazon. 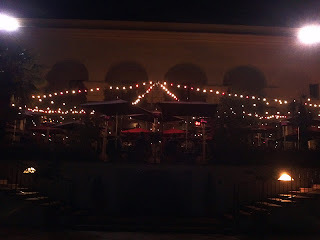 If you stop by my blog and start your shopping with my search bar, I would really appreciate it. This one extra click will net me a small percentage of the purchase price for the referral, without increasing what you pay. Any money received will go toward paying off Sierra's vet bills. With the month of panicked writing at NaNoWriMo ahead, I am not sure how often I will be posting in the coming weeks. I may disappear for a while, or I may be coming here to procrastinate and write about the bug I saw at work.